The Manager, Alberto, was very friendly and went out of his way to suggest places to eat/visit. Once we had moved rooms, we liked the bath. Peaceful location. Easy to find. The pool was clean but very cold so my husband went in it only once but we hadn't expected to use it in December anyway. Relaxing atmosphere on the hill of Albufeira. Location is quite far from the main city center but that is absolutely worthy. The pool is a good alternative to the cold Ocean. The most friendly host I have ever met until now. we loved this place. 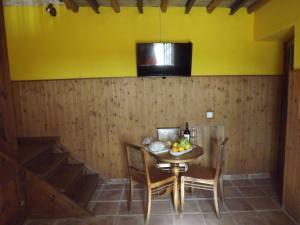 its in a lovely location, feels very rural - you definatly need a car as its a drive to shops and restaurants. it felt like we were staying in a family home. lovely big terrace and the swimming pool was great. our dog had a great time exploring the area. Perfect location on the hill, with the great views. Very quiet. A great place to go with kids if you do not want to spend too much but at the same time have all the necessary facilities to be comfortable, such as a swimming pool, a grill outside, a terrace where you can have a lunch or dinner, basic cooking facilities. Very good value for money. I was alone at the hole property. A really nice pool!! The place is super quiet a and perfect to relax. The kitchen is fully equipped to make simple meals. The owners are great and always free to help! The pool was always super clean and there was a room cleaning every single day - even on bank holidays! The studio was great. Lot of privacy. Very comfy bed. Wondeful pool. Owners are very kind. Every day a fresh cleaned house. After our portugal roadtrip this was a very enjoyable place to relax a bit before going home. We did not like Albufeira but nice beaches and Faro old town are at 15-30 minutes drive and very worthwhile. Nice rooms, great bed, excellent facilties and amazing breakfast. O espaço é muito bonito e tem muita privacidade. A piscina é boa. La siampatia y la disponibilidad del anfitrión Alberto!!!! Y si te gusta la tranquilidad y la naturaleza el sitio es fabuloso!!!! Ademas hay una bonita piscina y un salon de recreo y gimnasio estopendo!!! Lock in a great price for Quinta do Monte Velho – rated 8.3 by recent guests! 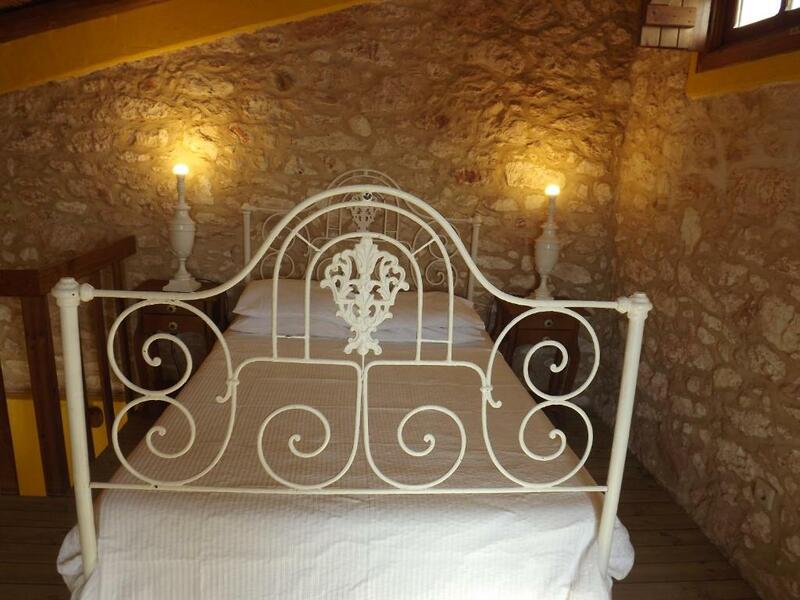 Quinta do Monte Velho is a guest house located in Albufeira. This property features an outdoor pool, a terrace and BBQ facilities. Free WiFi access is available in common areas and there is free on-site parking for guests arriving by car. 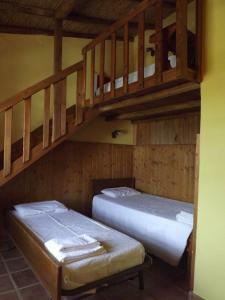 All rooms include a wardrobe, a seating area and a private bathroom with either a bath or shower. 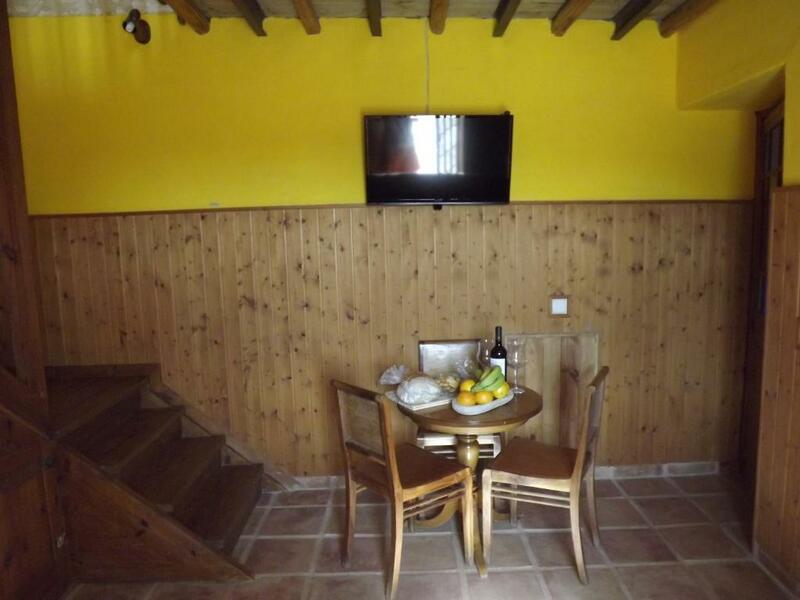 The rooms also feature a microwave, a refrigerator and a TV with satellite channels. For guests who wish to visit the local surrounding, the center of Albufeira is a 22-minute drive from the property and Vilamoura is 7.5 mi away. Faro Airport is 21 mi from the property. 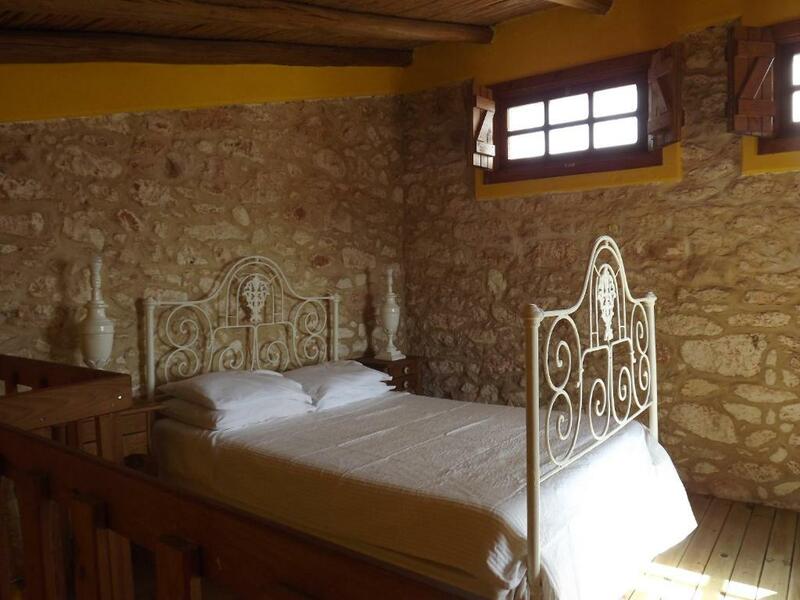 When would you like to stay at Quinta do Monte Velho? This studio includes a kitchenette and a small bathroom with a shower. It can accommodate 2 adults and 2 children in a bunk bed in the same room. Rate defined for 2 adults and 1 child up to 6 years old. Extra people have a surcharge of EUR 20 per person per night. 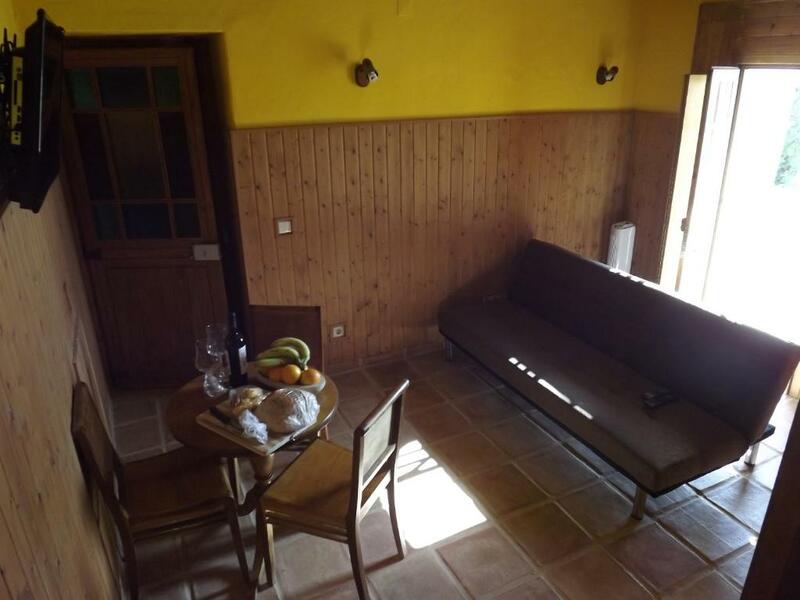 This double room includes some appliances like a microwave, a refrigerator, a coffee machine, an electric kettle, a toaster and kitchenware. 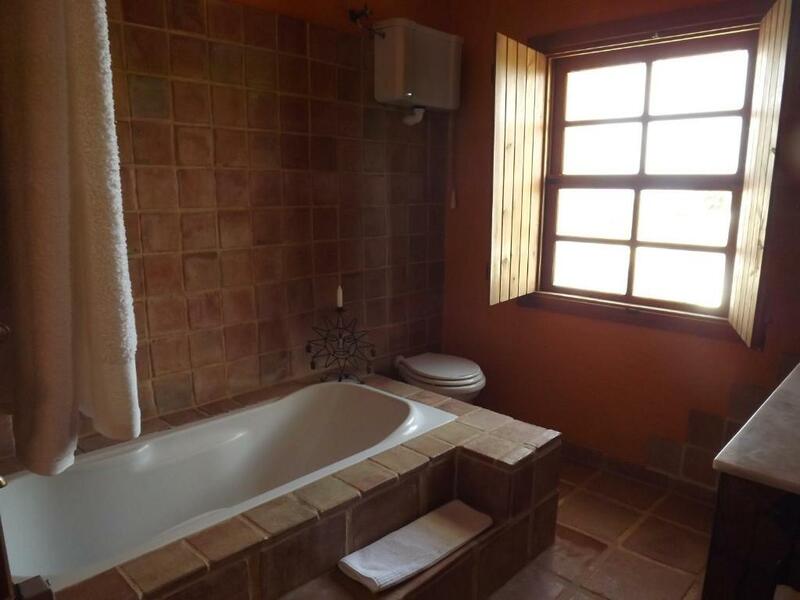 The ample bathroom has a bath. It can accommodate 2 adults and 2 children on a sofa bed in the same room. This family room includes 2 bedrooms, a living room and a kitchenette. The ample bathroom has a bath. 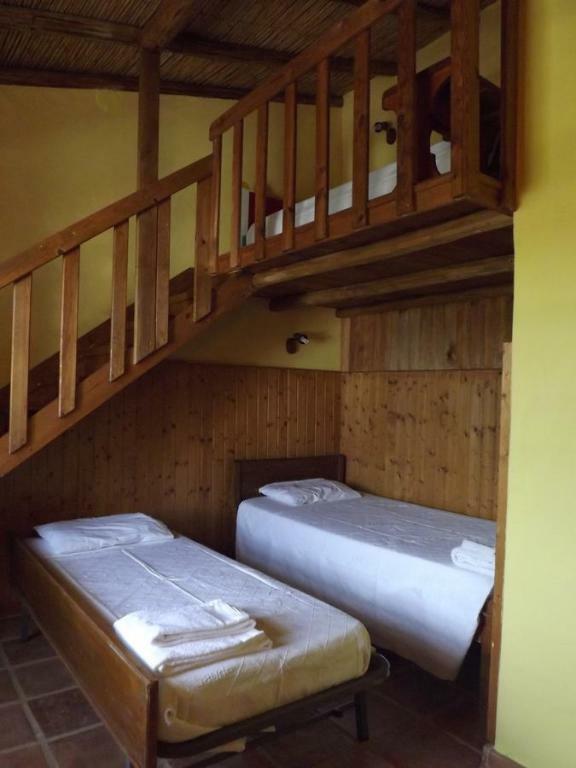 There is a double bed on the mezzanine and another bedroom with 3 single beds. This family room includes a living room and a kitchenette. There is a sofa bed and a bunk bed besides the double bedroom. The ample bathroom has a bath. A Quinta do Monte Velho é uma propriedade que remonta a 1931. Adquirida e renovada para habitação doméstica pelos atuais proprietários. 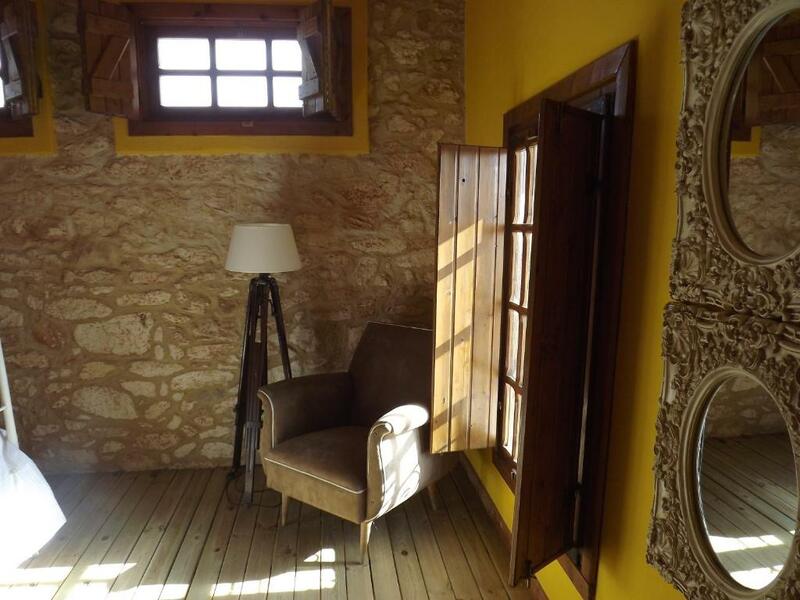 A beleza da envolvência e uma casa com mais de 500 m2 fez com que a transformassem num alojamento local partilhável com muitas outras pessoas. É um ambiente extremamente rústico e em contacto permanente com a natureza. Os anfitriões residem no local mas têm outra atividade profissional, à qual dedicam inúmeras horas do dia. O check in e/ou check out é feito por funcionários, tal como o contacto preferencial e, mais frequente, é feito com os funcionários da Quinta. O acesso à quinta é feito por um pequeno portão com trinco, os hóspedes ficam na posse da chave da sua Casa e podem entrar e sair quando pretenderem. A quinta fica localizada numa zona do Algarve muito tranquila e segura. Paderne é uma pequena vila a cerca de 12 km de Albufeira, tem apenas pequeno comércio local. Os habitantes locais são maioritariamente idosos portugueses que partilham a vila com famílias inglesas, holandesas e alemãs que escolheram o nosso país para a sua reforma. Próximo da animação de Albufeira, da magnitude de Vilamoura e no centro do Algarve, com possibilidades ilimitadas de visitas às inúmeras localidades, praias e outras belezas naturais. House Rules Quinta do Monte Velho takes special requests – add in the next step! Please note that access to the property is only possible using a personal car or a taxi. There is no public transportation nearby. Please note that accommodations is not equipped with air conditioning, only fans. Please note that TVs in the rooms only have foreign channels. Portuguese channels are only available at the common lounge. Please note that the WiFi network is only available at the games room. Please note that pets are allowed at the property. Owners should prevent their pets from disturbing other guests. Please note that guests must provide a valid identity document for confirmation of the reservation. Please inform Quinta do Monte Velho of your expected arrival time in advance. You can use the Special Requests box when booking, or contact the property directly using the contact details in your confirmation. The first room, Casa Logo, was tiny yet they still squeezed in a double bed and bunk beds but the table was only big enough for two people to sit at. The bathroom was tiny - there no bath and the shower was so small it didn't have a curtain and soaked everything in the bathroom. The bed was HARD. The kitchenette was so small there was no drainer. We had to request a sharp knife as there was none. The pans needed replacing. We had to ask for another blanket for the bed - it was cold at night, even with an oil filled radiator turned on. As the property was empty, we asked to move to the room with a bath. The new room, Casa do Mar, was much better. 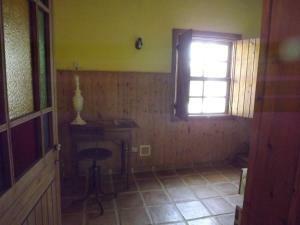 A separate bedroom, kitchen/lounge and a big bathroom with a lovely deep bath. The bed was softer but squeaked with every movement and we rolled together into the middle. The kitchen was bigger with a drainer but there was no table and chairs so we brought the plastic set from outside into the room. The owners appeared to speak little English and we spoke little Portuguese so just waved, smiled and said Hola if we saw them. We saw their small dogs often and were left poos every day outside our door which we had to clear up before we could sit outside. There was something living in the roof which scratched about at night and woke us up - I'm a really sound sleeper but as we'd found at 2.5 to 3 inch centipede in the bath, I couldn't help be woken by the noise wondering what was going to drop on me in the night (nothing actually did but it was very disturbing) To be honest, it was very CHEAP so I guess we got what we paid for but it really does need some TLC and the gardens seriously need tending to/weeding and it could be so much better. We were expecting "Rustic" not tired and mismatched. We wouldn't stay again. Room was like a cave, no ventilation at all. Not possible to make hot water for tea. Caffè only with 1 type of cup, not provided. No opportunity to cook or even wash dishes.No cleaning utensils at all. Air in the apartment was quite damp and hot. Cold damp room, the manager was not there. He came after 4 hour and hade drink to much alcohol and for me is that not professional. I have a property by myself that I rent out. I forgot my shower cream and nothing at all. I hade dog shampoo sense I hade my dog with me and I use that. The bathroom is too small, the shower has no curtains and we had a hard time take showers without spreading water everywhere. We knew that there was no air con in the propriety but in August it is too warm and we had a hard time sleeping. Hard to find a restaurant or bakery in the neighbourhood.